An old friend returns. 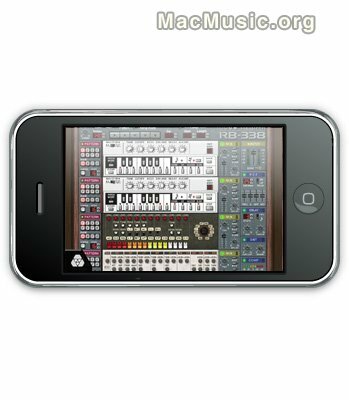 Propellerhead Software's legendary Techno Micro Composer has been resurrected and made available for Apple's iPhone and iPod Touch. ReBirth faithfully emulates dance music's three backbone devices: The Roland TB-303 Bass synth and the Roland TR-808 and 909 drum machines. Combine these with FX units, fully featured pattern sequencers and a quick-acting, scalable iPhone interface and you'll soon be making techno on the train, trance on the tram or beats on the bus. • 2 x TB-303 Bassline Synthesizer with pattern sequencer - The original Acid House and Techno bass synth. Unrivaled power, unmistakable sound. • TR-808 Drum machine - Roland's sub-heavy 1980 beat computer. Instant hip hop. • TR-909 Drum machine - The go-to beatbox for everything House and Techno. Press play and you're dancing. ReBirth is available exclusively through Apple iTunes App Store today, at a price €5.49 / $6.99.